Barwa Bank, Qatar’s fastest growing Shari’ah compliant banking service provider has announced the appointment of Arsalaan Ahmed as its Head of Capital Financing. Ahmed will be focused on managing the growth of the bank’s sukuk, syndicated finance, project finance and structured finance product offering. 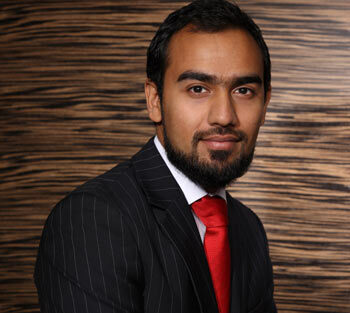 Ahmed is an ex-HSBC Group International Executive specialising in Islamic finance and has held multiple roles for the Group across Europe, Asia and the Middle East. “We are very pleased to have Arsalaan join us at Barwa Bank to spearhead a strategically important part of our business. Being able to provide a range of Capital Financing solutions to customers locally and internationally is important to us. We also continue to exhibit Barwa Bank’s commitment to and leadership in Islamic finance, as well as raising the profile of the role Qatar plays in supporting the Islamic finance industry and the growth of sophistication of Qatari financial institutions” said Khalid Al Ahbabi, General Manager Wholesale Banking, Barwa Bank.